In a semi-secret ballistic laboratory somewhere in Idaho, Bob Parker comes up with premier muzzleloading bullets. Long ago, Bob discovered that in order to eat something, it was better to kill it and cook it first. I would have called it the Parker Purple Cyclone Annihilator Supreme, but fortunately Bob doesn't listen to me. The long-standing barrier to confident long range muzzleloading hunting is the Flying Ashtray of snowball from Hades trajectory combined with sad, pathetic wind drift. Hornady make a good 300 grain bullet, the #4500 Hollow Point that has a G1 B.C. of .197. The 300 grain Parker Match Hunter has a real world shooting ballistic coefficient of .370 confirmed by Gunwerks and others. Theaverage actual shooting ballistic coefficients for the Parker Match Hunter are as follows. Ambient conditions may change this greatly, but this is a good starting point before you begin your mandatory practice, range work, and fine-tuning. 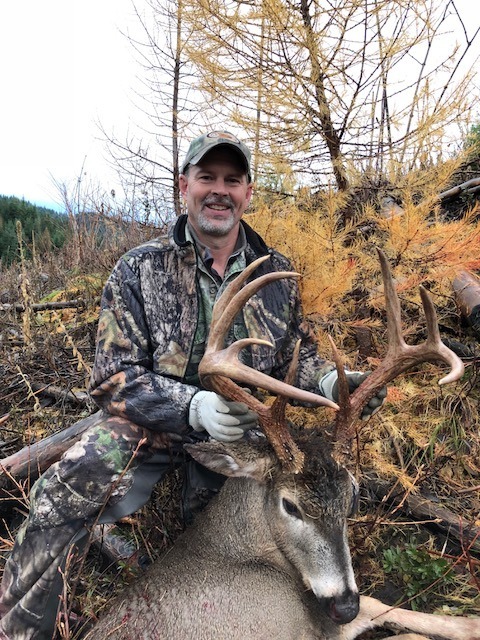 With a launch velocity of 2250 fps, this is what it means to the muzzleloading big game hunter, with the rifle zero'ed at 225 yards. This comparison with the same muzzle velocity using the same, exact atmospheric conditions and a 15 mph crosswind. The compared bullets are the same 300 grain weights and have the same recoil. Launched at 2250 fps, at 350 yards the Hornady 4500 has slowed to 862 fps. The Parker Match Hunter launched at the same velocity retains 1558 fps at 350 yards. That is over 400 fps faster than you might get out of a .44 RemMag with a 300 grain bullet at the muzzle. The Hornady 4500 has a whopping 54 inches of 15 mph wind drift at 350 yards. The Parker 300 grain Match Hunter has less than half the drift under the same conditions: 25 inches. At 350 yards, you have 8.9 MOA of drop to struggle to compensate for with the Hornady 4500. With the Parker 300 grain Match Hunter it is a far more manageable 5.9 MOA, only 3.4 MOA at 300 yards. Bob Parker makes the accurate shot placement far easier. If you are elk hunting for example, pull the trigger at 50 yards and go pick him up. Pull the trigger at 150 yards, and go pick him up. Pull the trigger at 250 yards and go pick him up. At 300 yards, put the X-hairs on his back and go pick him up. You can do this with no other muzzleloading bullet made today. As a matter of fact, Mike Davidson took a Pronghorn at 715 yards with the 325 grain Parker Match Hunter. If you want confident 300 yard capability, or want higher impact velocities at all ranges and less wind drift at all ranges, call Bob Parker today at 208-596-8430. You'll be glad you did. Dean Parker selflessly helps out Dad in "the lab" from time to time. 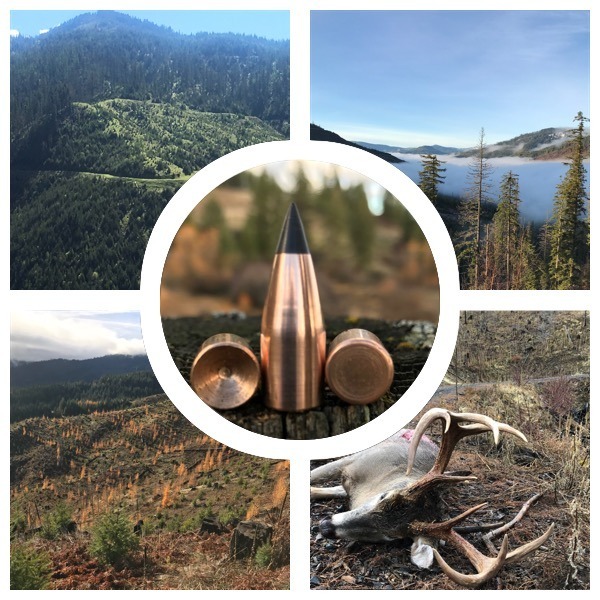 Bob Parker makes, hands down the most aerodynamic muzzleloading bullets out there: nothing else is close. Join Bob Parker in his quest to end world hunger and restore the balance of nature, one well-placed bullet at a time. It is the Parker school of fine dining which is a lot better than being left with grouse feathers.